Enjoy the luxuries of a country club with the charm of small-town living at Southern Hills Manors. 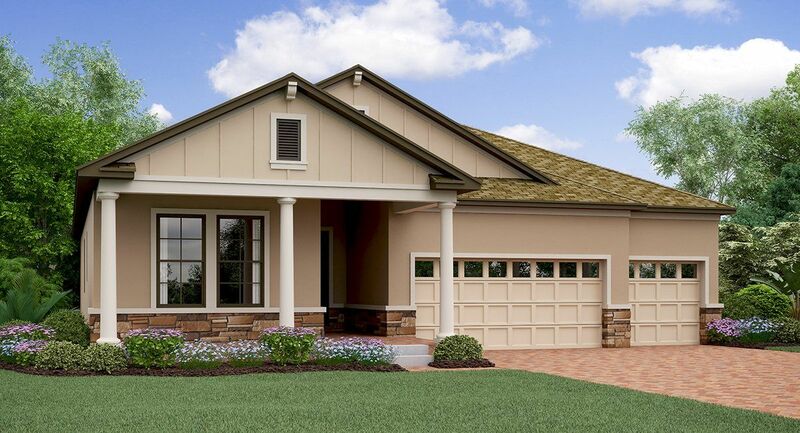 This gated community is surrounded by rolling hills and live oak trees and offers beautiful single-family homes. With four unique floorplans up to 2,725 square feet, you are sure to find a new home that suits your lifestyle- whether it's a gourmet kitchen, storage room or three-car garage. When calling Southern Hills home, there are many great amenities at your disposal. Spend your days enjoying a Pete Dye Championship Golf Course, lessons with on-site tennis pro, spa treatments, and much more. The beauty of Southern Hills will take your breath away. Rolling hills and live oak trees surround you, as well as scenic nature trails. Located in between Tampa and Orlando, Brooksville offers a unique position for residents to enjoy that best of Central Florida. Paired with its idyllic location and luxurious amenities, the new single-family homes at Southern Hills are sure to impress.